Katy & Robin married at Crowhurst Park, near Battle, East Sussex. They had an aubergine purple colour theme and Robin was a big part of helping me design the cake which was great. 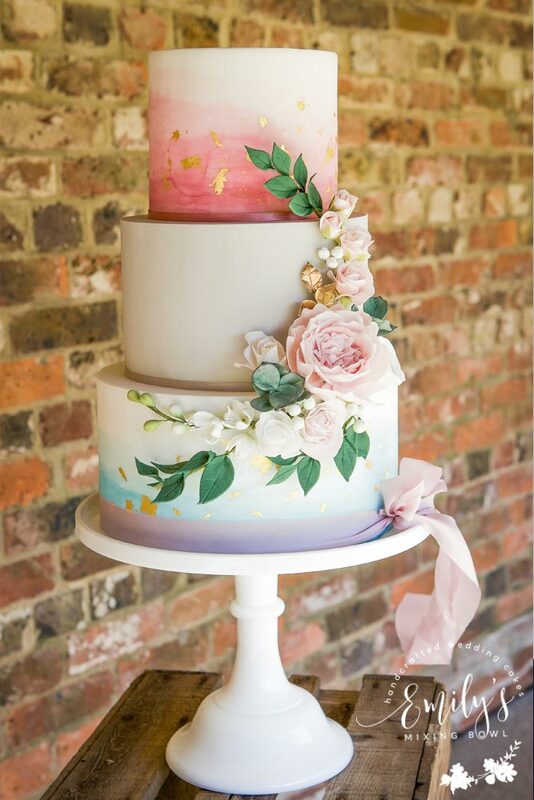 They had a ruffle effect bottom tier, glitter on the third tier, hand piped swags on the third tier and a plain top tier. 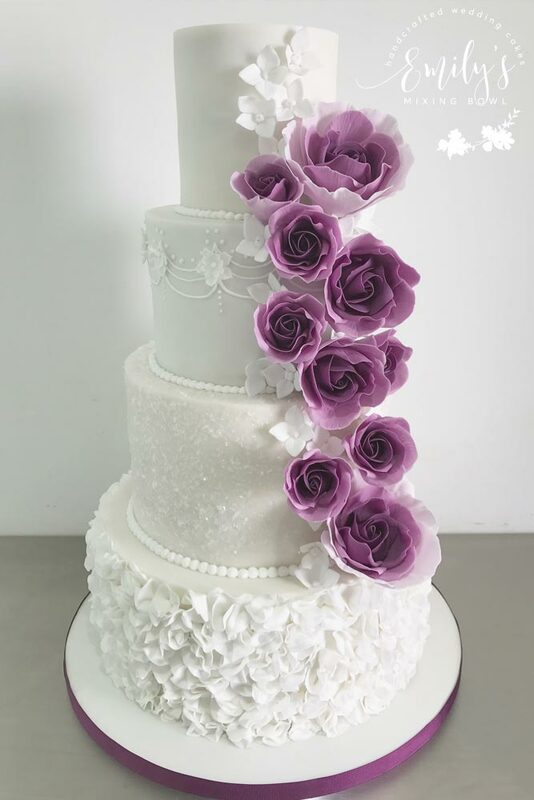 Finished off with handmade sugar roses and hydrangea in their colour theme.